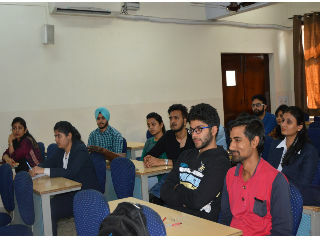 On 18th Fecb, 2017 JIMS E-cell organised a Guest lecture on the topic “Exploring Opportunities for Financing a Start-up”. 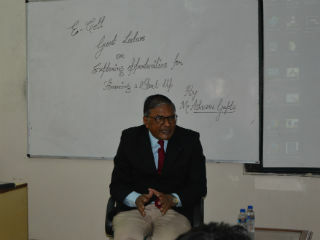 The session was attended by PGDM students from all streams. 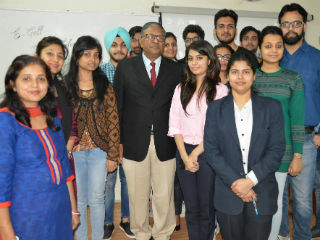 The lecture was delivered by Mr. Ashwani Gupta, who retired from SBI and has conducted many sessions with budding entrepreneurs. 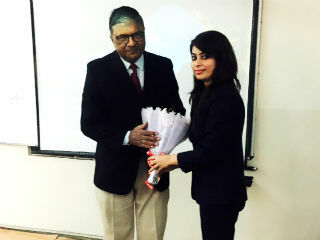 He engaged the audience with his expertise in the field of financing. He suggested several govt schemes to students seeking financial support for their venture. He also explained the banks' process of providing loans for business ventures. The interactive session gave ample opportunity to the students to come forward and place their doubts and confusion on table for discussion. Mr. Gupta attended to all the questions and helped students find solutions to their problems.